SEOUL, SOUTH KOREA, March 18, 2019 – Literally “Gosiwon” is a one-pyeong (3.3m2) single-room type of study room for those who prepare for government officer examination. However now it became a symbolic residential facility for day laborers and other socially disadvantaged people. With shared kitchen and toilet, Gosiwon’s tiny rooms without a single window are crowded like honeycomb around a corridor less than one meter wide. Because there is no sprinkler, which is the least safety device, they are greatly exposed to a danger of fire. In an effort fundamentally improve the human rights of residents living in poor residential environment and strengthen their safety, the Seoul Metropolitan Government is preparing for comprehensive measures for Gosiwons. Most importantly, the Seoul-type Gosiwon housing standard” has been established for the first time, and it will be applied immediately to the city’s remodeling project of outdated Gosiwon. According to the standard, each room shall be at least 7m2 in a total size and have a window. Residents of Gosiwon will be included on the list of the city’s housing voucher list, so that they are eligible to get part of the rent. Such an attempt is expected to give benefit to around 10,000 households. For this, the Seoul Metropolitan Government will invest a total of 1.5 billion won (US$ 1.3 million) in installing sprinklers in Gosiwons this year. In addition, shared spaces will be set up in areas where Gosiwons are conglomerated in order to raise the resident’s quality of life. 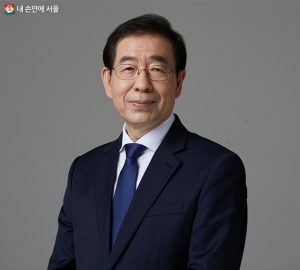 At the same time, the Seoul Metropolitan Government will actively work on transforming Gosiwons into shared houses by requesting to revise the related laws to the central government. With this as the main agenda, the Seoul Metropolitan Government announced comprehensive measures to protect the lives of the residents of Gosiwons. Currently, Seoul has 5,840 Gosiwons in total, nearly half of Korea’s (11,892 throughout the country). First of all, the Seoul Metropolitan Government has set the Housing Standard for Gosiwons: The actual area of the room shall be at least 7m2 or 10m2 if toilet is included, and at least one windows shall be installed in each room. It will ask the Ministry of Land, Infrastructure and Transport to revise the building standard for multiple living facilities. Secondly, the installation of a simple sprinkler is greatly expanded. A total of 1.5 billion won (US$ 1.3 million) will be invested to install sprinklers, which is 2.4 times up from the last year. Starting this year, not only the sprinklers, but also evacuation facilities, such as escape stairs and emergency bridges, will be installed. 1,061 Gosiwons (18.17%) in Seoul have been in operation since July 2009, before the sprinklers were not required to be installed. The city government has completed the installation in 222 locations (around 3.4 billion won in total). In cooperation of the central government, it is planning to apply the Gosiwons’ obligation to install a simple sprinkler retrospectively so that it can be installed in all Gosiwons within the next two years. Currently, the revision of the related law has completed the legislative process and is set to be reviewed by a subcommittee of the National Assembly. Thirdly, those living in Gosiwons are allowed to receive partial monthly rent of 50,000 won per month as they are included in the list of “Seoul-style housing vouchers.” Currently, the voucher is only given to house residents, so those who live in Gosiwons was not eligible. Being in a blind spot of support. It is estimated that about 10,000 new households will be able to receive it. Lastly, the government attempts to make Gosiwons have a better environment and a place to live with. Staring this year, a pilot project will be launched to rent a building nearby and provide a public space that houses shared spaces, such as laundry rooms, showers, and exercise rooms. Especially it will remodel unused buildings into a share house and supply them with 80 percent rent to single-person households. From this year, the Seoul Metropolitan Government (SH Co.) will inject a total of 7.2 billion won to remodel social housing this year. The city government started the “remodeled social housing project” in 2016 and has supplied a total of 288 housing units (17 building) so far, among with a total of 110 hosing unit (6 building) are Gosiwons. The private sector will also improve the system so that it can change the use of purpose of Gosiwons into share housing so that it can actively supply housing to single households.